Idle, v: to pass time doing nothing. Loot, n: spoils taken by pillaging. Quest, n: a pursuit made in order to obtain something. Idle Loot Quest, n: An epic pursuit to obtain spoils by passing time doing nothing! Embark on a journey through Suspicious Libraries, Illusory Plateaus, and Run-of-the-mill Toy Factories! 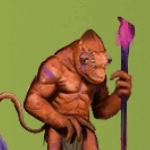 Battle Gluttonous Hobgoblins, Break Dancing Merfolk, and Exothermic Algae! Find Loot in Frozen Satchels, Mocha Silos, and Rancid Phone Cases! Wield fearsome gear such as a Doomsday Anchovy, a Psychedelic Top Hat, and a Kiwi of Lunacy! Loot, Quest, Loot, Quest...your Fame shall be Renowned as the Fame of Renown! 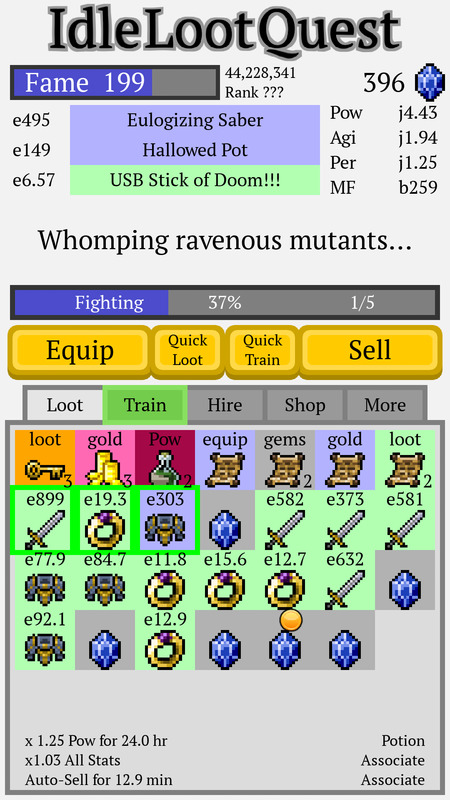 - Complete thousands of Quests as you continually find more powerful Gear! - 4 Skills to Train and boost your Questing Capabilities! - Hire Associates to aid you on your journey! - Collect Rare Loot such as Loot Keys, Treasure Piles, Whetstones, Potions, and more! 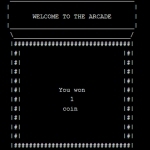 - Increase your MetaFame and compete on the Leaderboards! 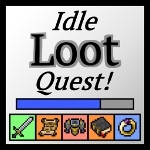 - 40 Achievements - can you unlock them all and become a Master Idle Loot Quester? 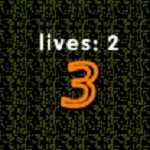 ClickerSimilar to a paddle game from the 90's, the game allows you to upgrade your paddles between lives to extend the amount of time you can stay alive. 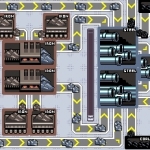 You are provided with 4 paddles, one on each side of the screen.UpgradesUpgrades start by providing extra lives per game, then advance to increase the size of the paddles, add shields, and more.